CAPCOM | Devil May Cry 5 Ships 2 Million Units Within Two Weeks Since Launch! Capcom Co., Ltd. (Capcom) today announced that Devil May Cry 5 for the Xbox One family of devices including Xbox One X, PlayStation®4 system and PC has shipped more than 2 million units globally. The Devil May Cry series consists of popular, stylish action games known for their unique characters and exhilarating movement. One of Capcom's major brands, the games in this series have cumulatively sold more than 19 million units* since the first title was released in 2001. 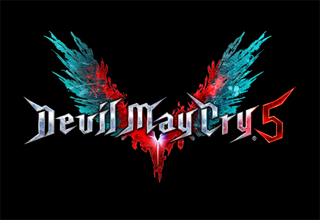 Devil May Cry 5 is the latest title in the series and the first mainline entry to be released in 10 years. Utilizing Capcom's proprietary RE ENGINE, the game integrates cutting-edge visuals with the distinctive stylish action of the series, offering finely detailed, real expressions that further enhance the game's appeal. Additionally, by introducing the online "Cameo System," Capcom has provided an all-new kind of play experience where players throughout the world can make guest appearances in each other's games through real-time matching. 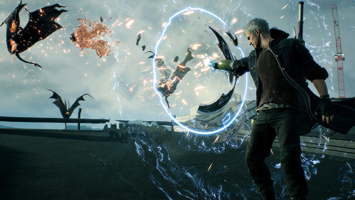 As a result, Devil May Cry 5 has been highly acclaimed by fans, leading to shipments in excess of 2 million units worldwide less than two weeks following its release.